Has animal rights and shelter advertising destroyed the image of hobby breeders? Have the registries betrayed us for bigger puppy mill income? The problem is that we don’t have any dog breeder organizations! “High Volume Breeders” (another of AKC’s acronyms for commercial dog breeders) feed AKC’s hungry belly. Therefore any attempt to unionize hobby and show breeders into a lobbying association is put to sleep before it can even get started. Is it too late? Do dedicated hobby and show breeders still exist? Do real breeders still show to prove the value of their dogs? Or is it puppy mills finishing a dog so they can compete against US for “champion sired” puppies? 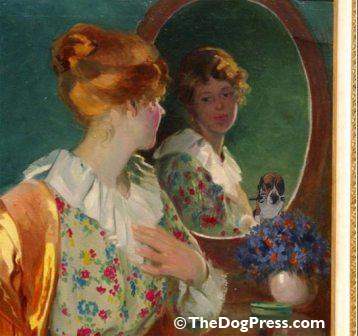 We want to hear from you, including AKC who checks every article in TheDogPress. If you want to help change the image of “dog breeders” or you know of a purebred dog breeders association worthy of our support, please tell us below. Please type your name, type your comment, and then click the "comment" button. To show your post, click refresh or F5 to view your posted comment. Pressing the "comment" button more than once will duplicate your post.